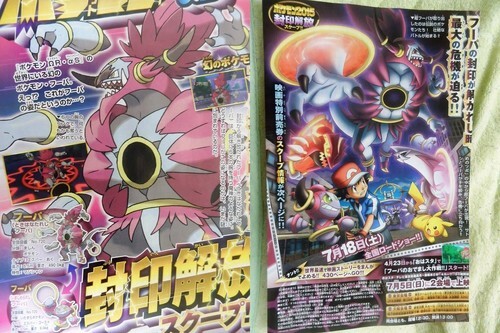 Hoopa's alternate form has been officially revealed in CoroCoro.. For those not aware, this is called Hoopa Unbound and is a Psychic/Dark-type and will feature in the upcoming movie: The Archdjinni of the Rings: Hoopa, due for release in Japão this July. 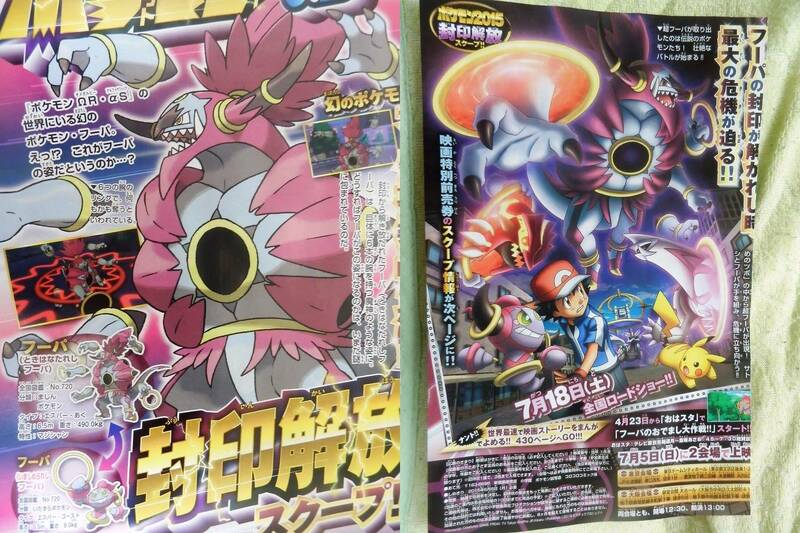 What are your thoughts on this new form?. HD Wallpaper and background images in the pokémon club tagged: photo hoopa unbound corococo 2015 pokemon. This pokémon photo contains vitral, fenda, um bandido armado, slot, anime, banda desenhada, manga, desenhos animados, mangá, and quadrinhos. There might also be slot machine, máquina de moeda, and máquina de fenda.